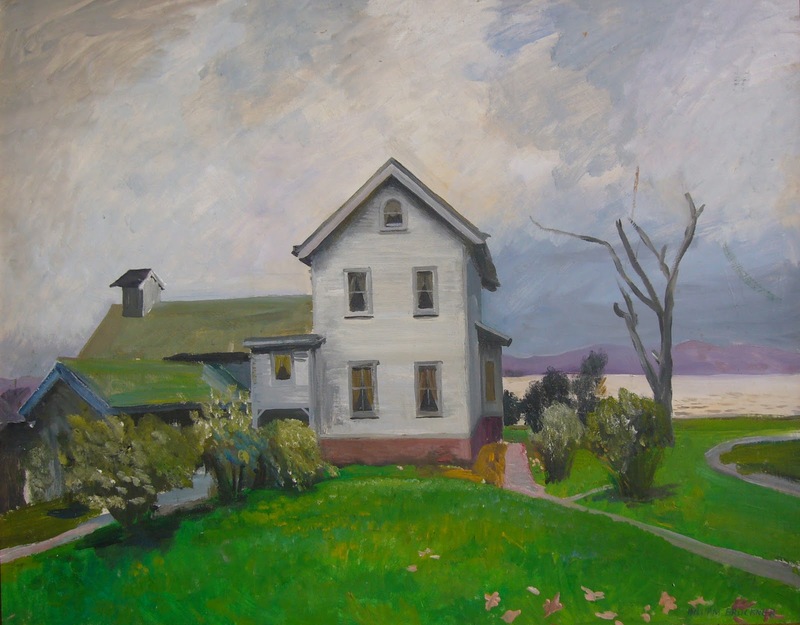 William Bruckner was a beloved New York painter who epitomized his hometown of Nyack and neighboring landscapes in oil paints, watercolors, and drawings—much of his artistry depicted the village of Nyack and the Hudson River. He was also known for his still lives and his portraits. He was the notable portraitist of theater legend, and fellow Nyack resident, Helen Hayes and honored black civil-rights activist Mary Mcleod Bethune. "You could always tell a William Bruckner portrait," said Julie Ramos, executive director of the Rockland Center for the Arts. "The subject was rendered in a very delicate, realistic style with a translucent look to the skin. He used light very well." Bruckner was born December 1, 1915 in Vienna, Austria. At the age of 10, he came to the United States with his family. He first studied at the Chicago Art Institute, and later the Barnes Foundation in Merion, Pennsylvania. He had his own portrait studio in Merion during this time. 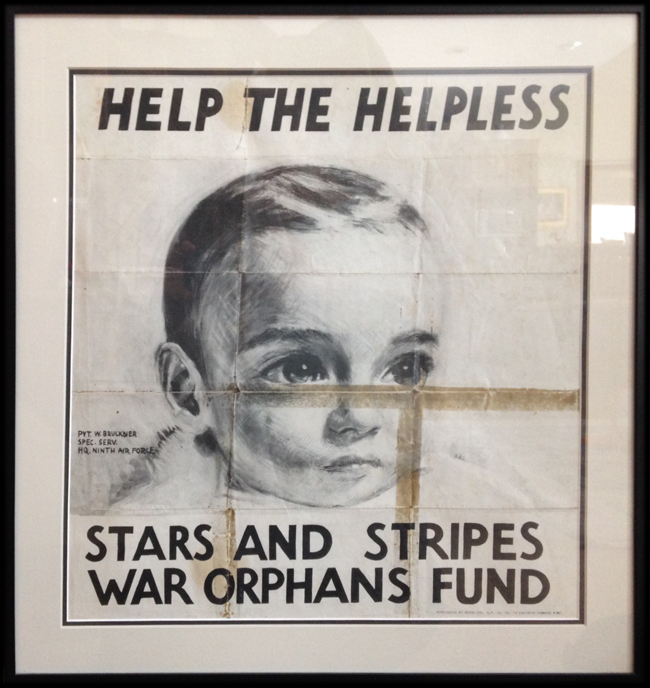 During World War II, he served in the U.S. Army Air Forces as an artist and translater for his superior officers on the front lines in Germany. He returned to America to begin a family with German-born Ninetta Sombart, with whom he had 4 children, Christopher, Peter, Philip and Corinna. Later he married Christel Rohrbach and had a child, Christine, who was raised in Nyack. 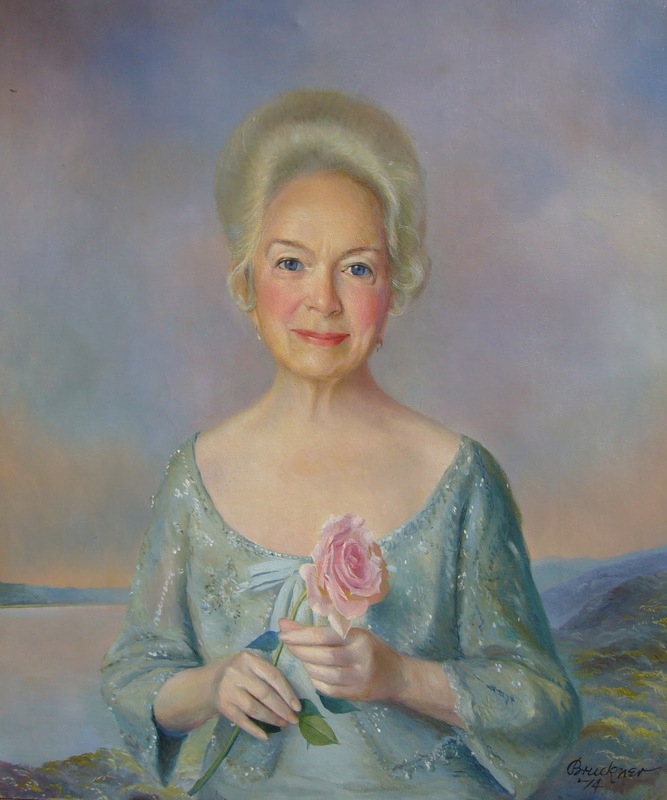 William spent the remainder of his life painting the views he cherished around his Nyack home, especially the beauty of Hook Mountain State Park, Memorial Park, various neighborhood gardens and the hills around Nyack College. 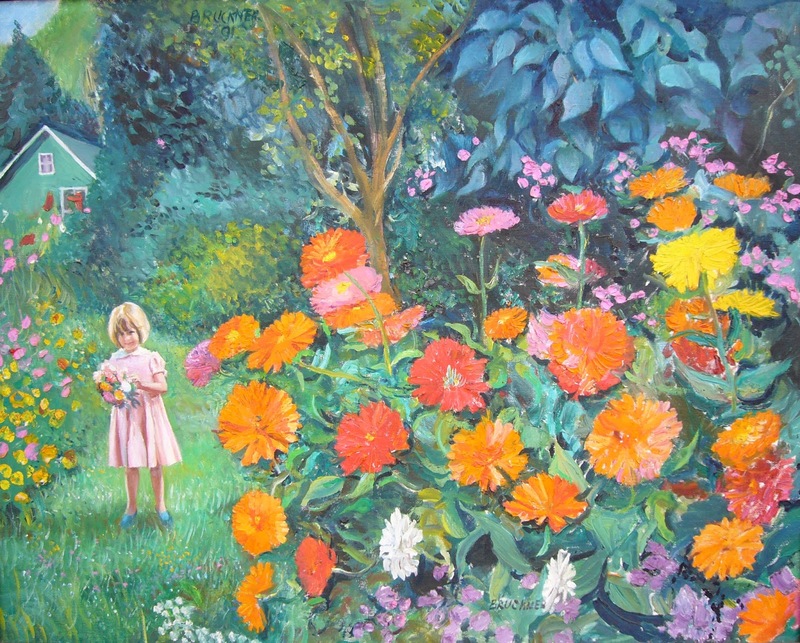 Bruckner's youngest daughter, Christine, believes her father created more than 3,000 oil paintings during his lifetime — "everything from nudes to nuns". "He worked every single day," she said. "This was his passion, this was his life and nothing got in the way of that." 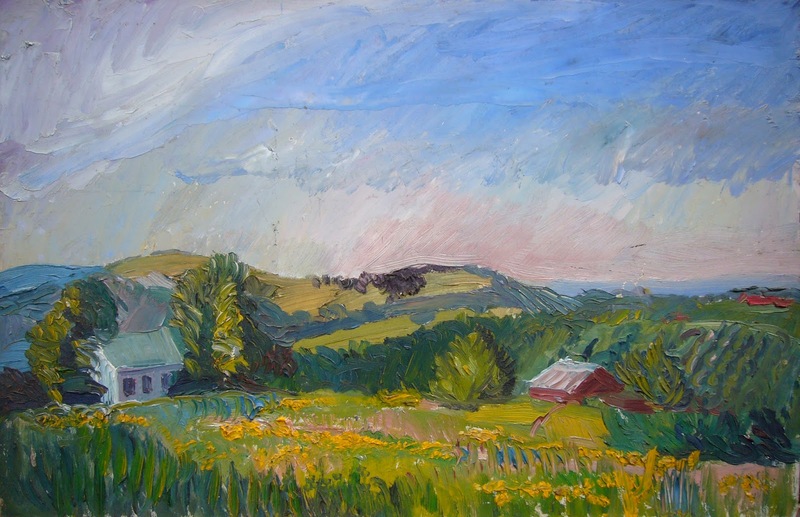 Bruckner died in 2002 but left his artistic legacy and the beauty of Nyack's landscapes and notables captured on canvas in his signature soft, realistic style—His work hangs in the Pentagon, 23 public buildings in Rockland County, corporate collections, and private collections. 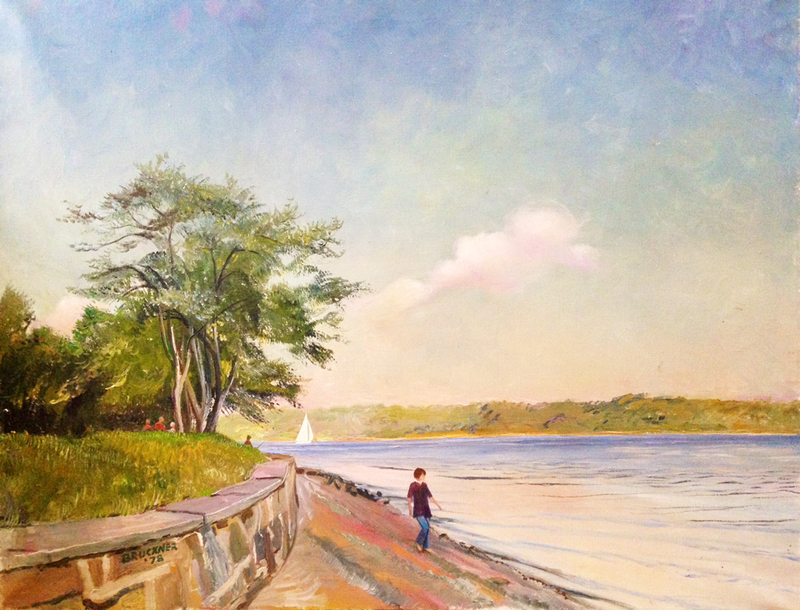 The beauty of Nyack is immortalized on his canvases and can now be enjoyed by generations born into the century following his own. This year marks the 100th anniversary of this notable Nyack artist's birth and the beginning of a lifelong love of the vistas in and around Nyack, New York he called his home and creative muse for more than 50 years. at The Nyack Library, in collaboration with the Nyack Historical Society.